Happy New Year Greeting Card. Bright Colorful Background Featuring A Bow, Gifts And A Pine Branch With Toys. Congratulations On The 2019 Year. Lizenzfrei Nutzbare Vektorgrafiken, Clip Arts, Illustrationen. Image 111205302. Standard-Bild - Happy New Year greeting card. Bright colorful background featuring a bow, gifts and a pine branch with toys. Congratulations on the 2019 year. Happy New Year greeting card. Bright colorful background featuring a bow, gifts and a pine branch with toys. 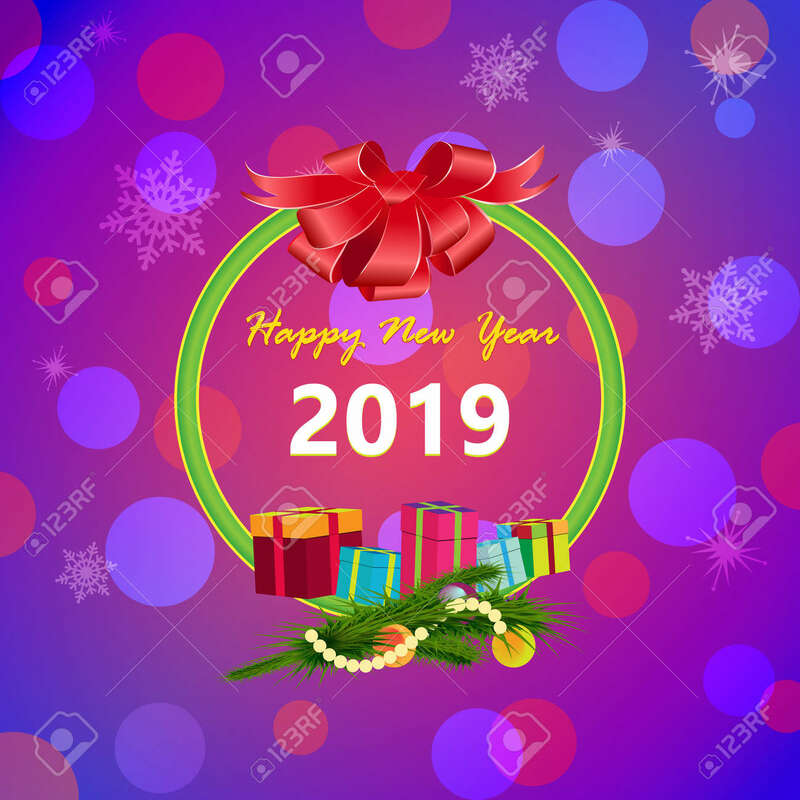 Congratulations on the 2019 year.